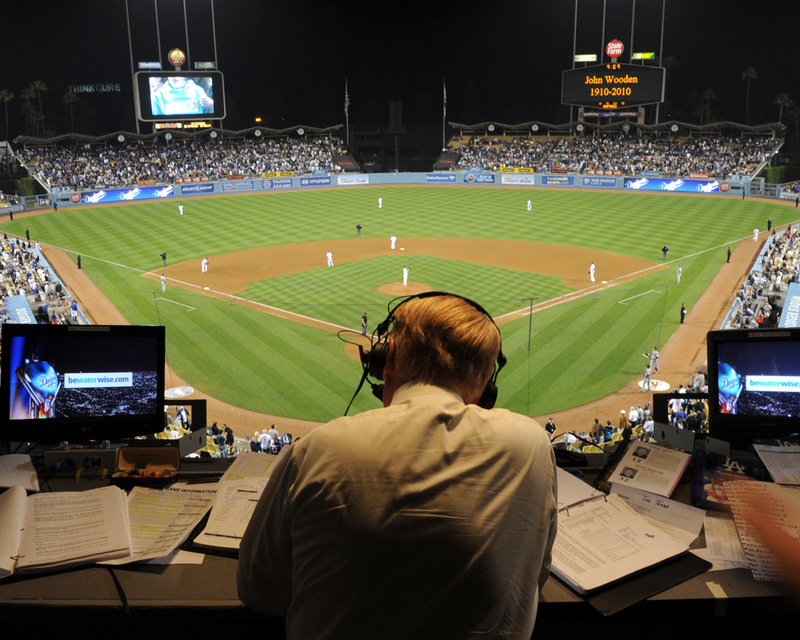 To help everyone forget about the Freeway series…let’s just go back in time. What do ya say? June 13th, 2000…just 12 years ago. Eric Karros was wearing Dodger Blue at the time and was playing the Arizona Diamondbacks at Dodger Stadium. 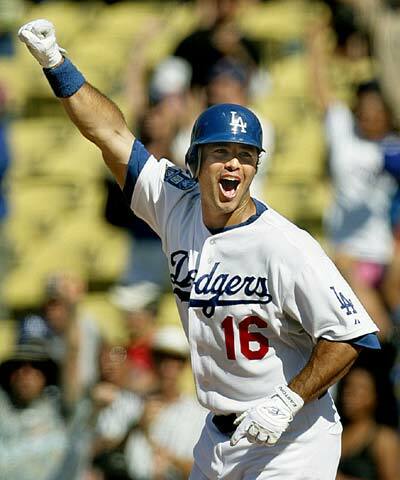 He knocked his 229th homerun as a Dodger over the left field wall and became Los Angeles’ All-Time Homerun Leader. Karros finished his career with 270 homeruns and still owns the record to this day. 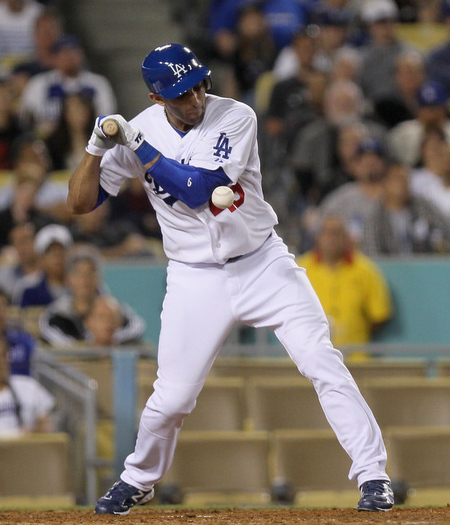 Will a current Dodger break the record? Kemp maybe? Only time will tell. After a very short major league career (8 games total) Tommy was optioned down to the minor leagues in order to make room for none other than, Sandy Koufax. 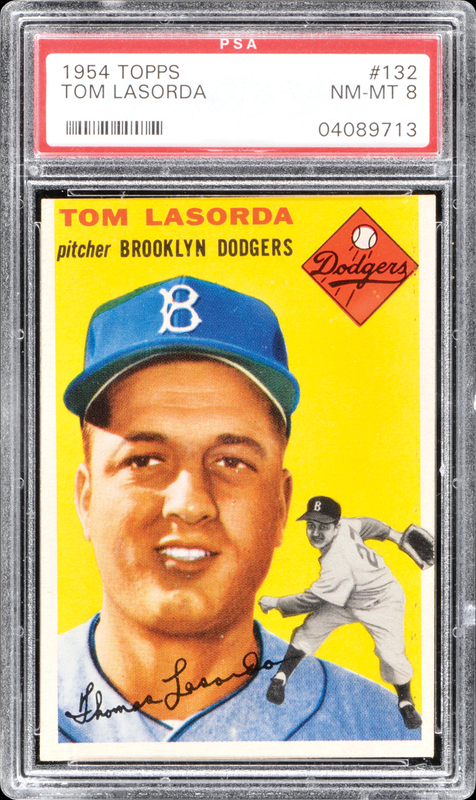 It was a move that proved to be one of the biggest in Dodgers history, considering Tommy Lasorda would go on to be one of the games greatest managers, and Koufax would go on to be one of the game’s most dominant pitchers. 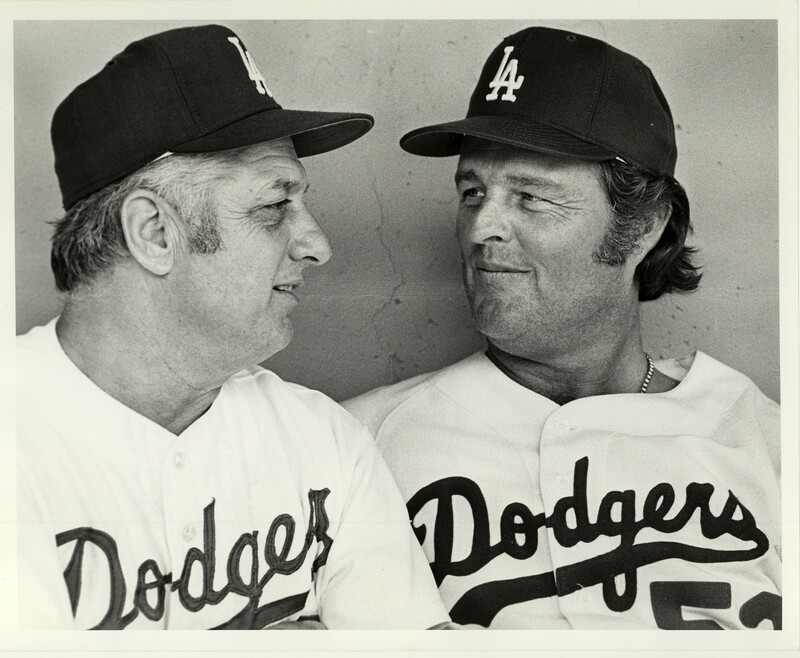 Lasorda jokes about his demotion by saying, “It took the greatest left-hander in the history of baseball to knock me off that Brooklyn club.” Lasorda, as we all know, has an incredible sense of humor, and is one of the most humble men in sports. Lasorda went on to win 1,599 games in his managerial career that included two world series titles, four National League pennants, and eight division titles. He is one of the games most visible and tireless goodwill ambassadors and was inducted into the Hall of Fame in 1997. 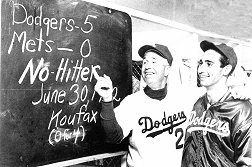 Koufax, just 19 years of age at the time of his promotion, went on to record a 165-87 career record including four no hitters, and the only perfect game in Dodgers history. 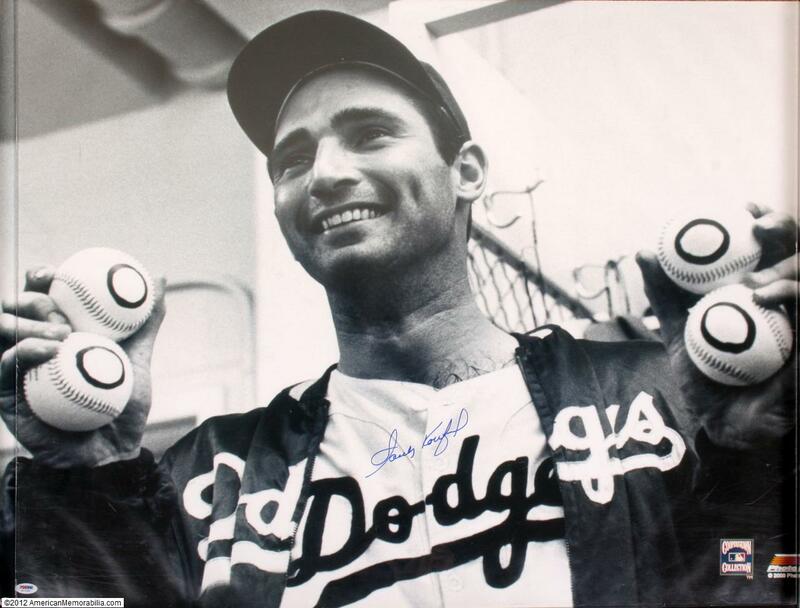 According to the Dodgers website, from 1962-66 alone, he went 111-34, with 1,444 strikeouts and five consecutive ERA titles. In 1972, he was the youngest player to ever be elected into the Hall of Fame, at just 36 years old. Keeping the pitchers theme consistent, I wanted to give a quick shoutout to Don Drysdale, another historic Dodgers pitcher that pitched in the same era as Koufax (Could you imagine those guys together? For those of you that were alive, I am envious). On this day, in 1968, Don surpasses Walter Johnson’s major league record of 56 consecutive scoreless innings as he ran a streak of 58 2/3 before Philadelphia Phillies’ Howie Bedell drove in Tony Taylor in the fifth inning of that game to end it. Orel Hershiser, yet another Dodgers pitcher, would later go on to beat that record by recording 59 scoreless innings in 1988. 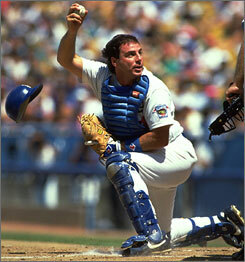 You can’t have a pitcher without a catcher, and in the 80’s, the Dodgers had a great one. Mike Scioscia is the current manager of the Anaheim Angels (No, thats not a typo. In my opinion, they have, are, and forever will be the Anaheim Angels. You have to play in a city for it to count). Scioscia played for the Dodgers from 1980-1992, and on this day in 1991, he became the clubs all-time leader in games caught when he knelt behind the plate for the 1,219th time. 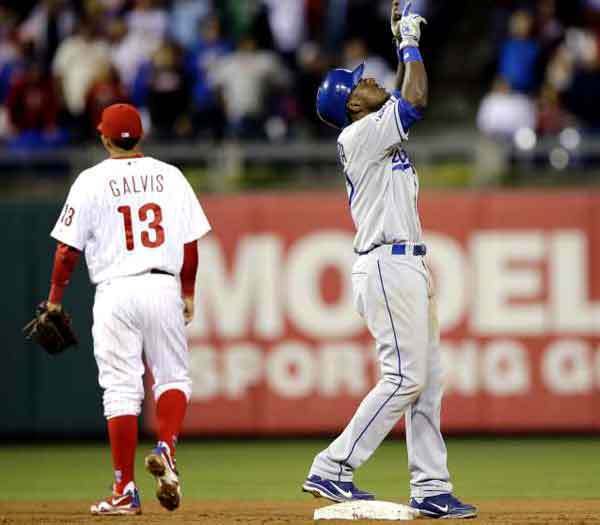 After being hit by a pitch, and successfully stealing a base before being called back, Alex Castellanos gets his first major league appearance tonight as the Dodgers look to turn things around in Colorado. 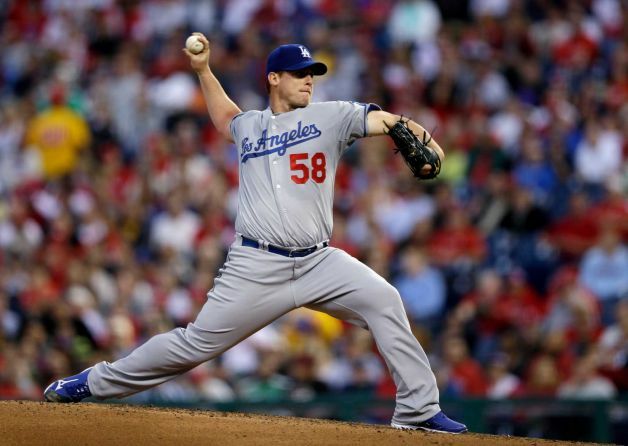 Chris Capuano takes on Josh Outman and the Rockies and seeks his league leading eighth win on the season. Game scheduled to start at 6:40 PT. Tune in to Prime Ticket or AM 570 Fox Sports LA. Also, be sure to follow us on Facebook and Twitter for live in-game updates!